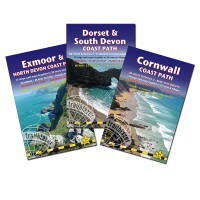 This guide to the coast path from from Plymouth to Poole Harbour (217 miles, 350 km) covers the third section, Dorset and South Devon, of the 630 mile (1,014km) South West Coast Path. This beautiful route includes 95 miles within England's only Natural World Heritage Site, the Jurassic Coast, and passes dramatic cliffs and headlands, Chesil Bank’s impressive spit and Lulworth Cove, winding through idyllic seaside villages such as Beer and Lyme Regis. 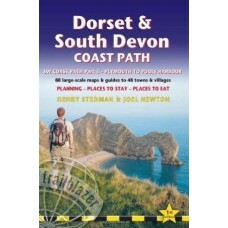 Includes 88 detailed walking maps: the largest scale maps available, at just under 1:20,000, which are bigger than even the most detailed walking maps currently available in the shops. Itineraries for all walkers – whether walking the route in its entirety or sampling the highlights on day walks or short breaks. 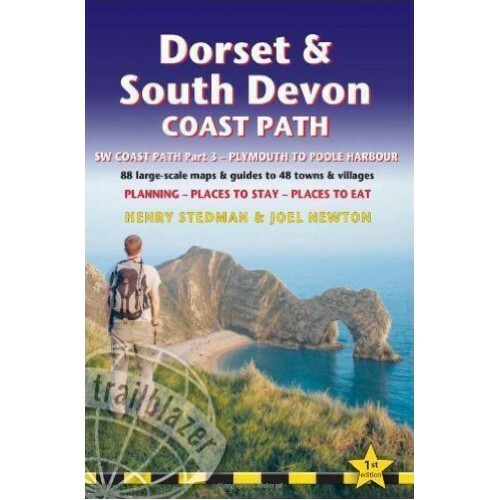 Practical information for all budgets – What to see; Where to eat (cafés, pubs and restaurants); where to stay (B&Bs, hotels, bunkhouses, hostels and campsites).